At Dinkums, any print job is possible! Not only can we print most common jobs, like leaflets, flyers, brochures, documents, postcards, business cards, office stationery, invitations, certificates, documents, booklets…, we have a range of paper weights and finishes as well as a host of finishing options, that will ensure you get exactly what you need. We’re big fans of a little creativity! We have the newest range of printing and finishing equipment of just about any digital printer in Melbourne, so quality and speed are guaranteed! And, we’re open 7 days a week, so if you need something now, give us a call! We refer to ‘general printing’ as product that we can print on our digital colour printing presses – i.e., anything up to A3 size (420mm x 297mm). The range is huge, but here’s a snapshot of some of our more common print jobs – brochures, leaflets, flyers, business cards, certificates, invitations, manuals, reports, newsletters, thesis printing, stationery, posters, NCR or invoice books, envelopes, stickers, booklets, name cards, documents, presentation folders and more. And we can fold, trim, collate, laminated, cello-sheen, drill and bind these prints to form almost any finished product. Our basic paper stock includes product from leading suppliers and comes in Matt, Silk and Gloss and from 55gsm to 420gsm. We also stock a range of recycled and environmentally friendly, Envirocare® in various weights. We have a range of specialty paper includes the highly durable Tyvek, self-adhesive labels, transparent and trace paper, including acetate, a wide range of coloured paper and a range fine art, textured paper for special print jobs. We know we’re only as good as our equipment, so we make sure we have the latest and best printing technology available – and enough of it to keep up with our customers’ deadline demands. We use market leading brands, such as Fuji Xerox, as our mass production digital colour printers so we are able to produce the best quality digital printing and quickly. We also have a comprehensive range of quality branded finishing equipment that fully complements our printed product offering. See our ‘services’ section for more details. Our print finishing services include booklet making, hot & cold laminating, cello-sheening, creasing/folding, perforating, collating, copying, large and small format scanning, cutting and hole punching. We can also mount your prints on a 5mm foam core board and your canvas prints on timber stretchers bars. For the more specialised jobs, we can produce die shapes in just about any shapes and size. We’re also able to offer gold foiling, raised prints products and a range of other unique offerings. Get a detailed job quote quick time. Just remember to provide as much information about the job as possible. Send print files amd job details directly to us so we can get started on your job straight away. Visit us here on the fringe on the Melbourne CBD. Or, call or email us to discuss your job in more detail. General, large format, plan and specialty printing and a range of finishing services. Over 30,000 editable designs online & in house customised design services. 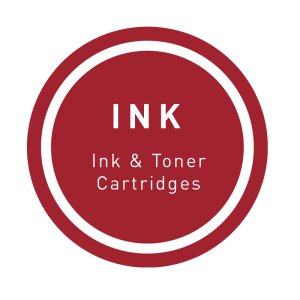 Online store for thousands of ink & toner cartridges and print consumables. Signage, branding and display material for a range of applications and functions. Establish in 1991, Dinkums Print & Design is Melbourne’s most progressive printer. We’re located on the fringe of the Melbourne CBD, in Carlton, just near the intersection of Victoria and Swanston Streets. We’re open and available 7 days a week and just about everyday of the year. We take pride in producing the best quality printing with fast turn-around, supporting by great customer service.